A province in Central Philippines has approved the first reading of a proposed ordinance that promotes sustainable agriculture and replace the ban on genetically-modified organisms. 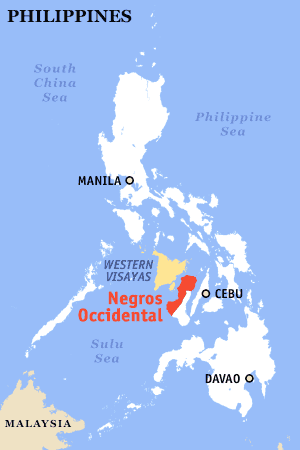 Edgardo Acuña, one of the authors of the proposed ordinance and board member of Negros Occidental province, said the Provincial Committee on Laws and Ordinances will meet next week with members of the Committees on Agriculture and Food and Security to come up with the final draft of the proposed ordinance. Once the final draft is made, the ordinance will be subjected to a public hearing. The ordinance, entitled Sustainable Agriculture Act of 2009, promotes the importance of biodiversity and sustaining life and sustainable agriculture. It recognizes that there are several farming systems in sustainable agriculture that require different resources, thus respecting farmers’ choice of their own farming system. If it will be made into law, the provincial governor will formulate a program that not only respect individual farmer’s choice of farming methods, but also provide incentives to the adoption of scientifically-deemed sustainable agricultural practices. It will also promote the co-existence of various farming systems, including between organic farming and GMO-based farming.